Radio Wanderlust Sound Check! One, Two! We’ve done a lot of work to make our sound quality much better. 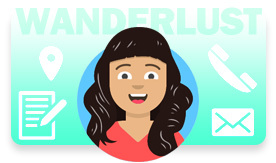 You will feel the difference better and enjoy being on the road with Radio Wanderlust. Please write us your comments.